Owning a Villa Group vacation home is much easier than you think and much less hassle. The Villa Group is a leisure and vacation specialist that combines years of expertise, great taste and vision; and so by purchasing a slice of the Villa Group’s paradise you become part of a family of resorts that offers no end of enjoyment. In a nutshell, as a new buyer, vacation ownership with the Villa Group basically includes a timeshare points membership, called Villa Preferred Access. If you are new to the Villa Group’s properties, you will join the points program directly, which enables you to have more flexibility over which Villa Group property you can use, although some restrictions may apply depending on your membership status. Owners who bought fixed week timeshare properties before the Villa Group offered the points membership, can opt to join the scheme to enable greater choice and benefits. Vacation Ownership with Villa Group means that you have access to resorts throughout Mexico in Cancun, Puerto Vallarta, Nuevo Vallarta, Cabo San Lucas and Loreto. The resorts all carry the name Villa del Palmar or similar variations such as Villa del Arco or Villa del Mar and aim to deliver vacation experiences that will make you proud to be a Villa Group member. 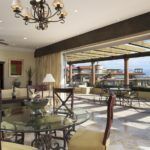 Another benefit to joining Villa Preferred Access is that you will have the option of joining Interval International, a global vacation club and UVCI where Villa del Palmar resorts are accepted for exchange for accommodation in destinations throughout the world. That way your vacation property becomes even more flexible and your investment benefits increase. In addition, Villa Preferred Access grows as you do, offering the opportunity for upgrading your membership as your finances and needs grown over time. The benefits of vacation ownership can be appreciated the minute you arrive on your first vacation in your new home. Arriving to a place that you can call your own, where you and your family will become part of the resort’s ever evolving history is a very special experience. Also, the properties included in the Villa Group repertoire are all large enough to live in, with cooking facilities and living areas that make your vacation even more comfortable. If you choose to return to the same resort year after year, you will also begin to recognize staff and other guests, which creates a wonderful sense of community. On the contrary, you are also at liberty to visit a different Villa del Palmar resort every year and remain as anonymous as you like. Share the post "Review: The Villa Group Vacation Ownership"